Full Metall Jacket. Like many other manufacturers, Dell also launches several new models on time for the start of new Intel Centrino 2 platform primarily in the business area. The E6500 series is thought primarily for professional office users with an increased mobility need and high quality demand. With the high-quality magnesium case the notebook sets the bar particularly high in respect to stability, for the competition. 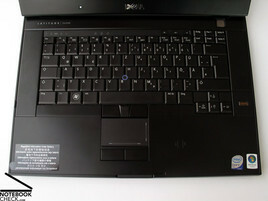 Dell summarizes its notebooks conceived primarily for the classic business sector under the name Latitude. Here, among other things, one differentiates between the E5xxx and the E6xxx models. Like the Lenovo Thinkpad R and T series, Dell offers the E5xxx series which concentrates on basic functions and mainly tries to score with an attractive price. In addition there are the models of the E6xxx, with its indestructible metal chassis and particularly extensive equipment which appeal to the rather advanced, quality-conscious customer, as well. In both classes Dell offers a 15.4 inch as well as a compact 14.1 inch device. The Latitude E6400 as well as the 14” E6500 version, that is also available with ATG equipment, is according to military standards particularly vigorously built and can be used in the most adverse circumstances. 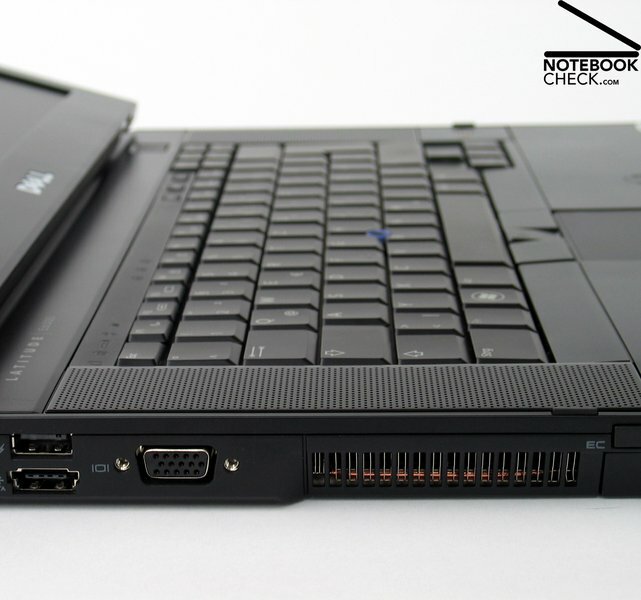 Besides that, with the E4300, the E4200 and the Latitude XT Dell offers business solutions in the subnotebook and tablet area. 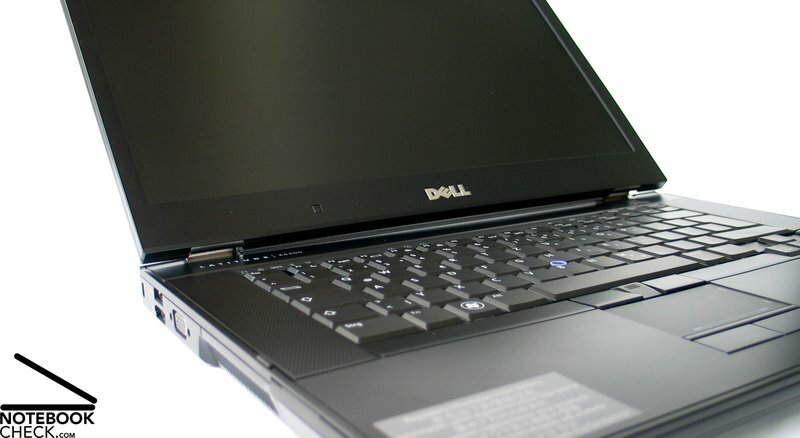 Dell doesn’t make any compromises in the conception of the case of the Latitude E6500. 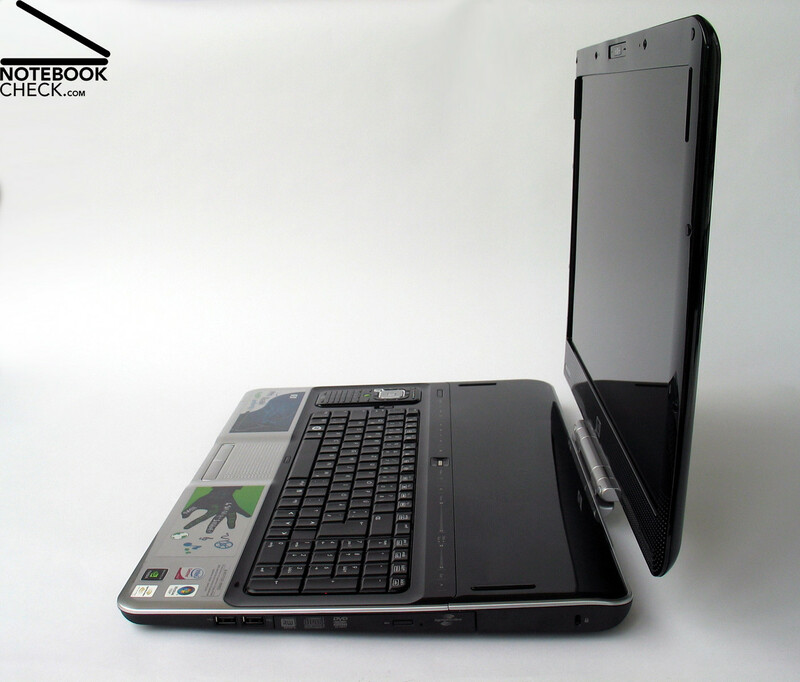 Only metal components were used (according to Dell a magnesium alloy) which give the E6500 a remarkable stability and a high quality haptic. While at first the case feels almost metallically cool, it obtains a consistent warming after a few minutes and loses a bit of it metallic image. In order to convey the maximum of professionalism and seriousness in the design of the notebook, it was completely immersed into a matte black. 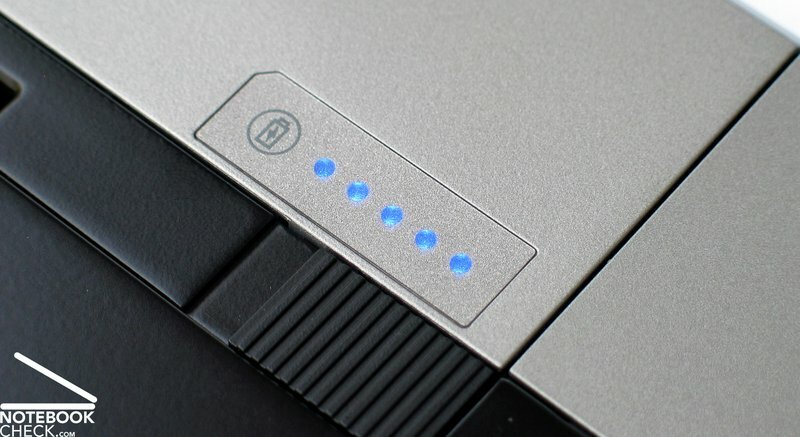 Merely the discreet blue LED over the keyboard sets a tone. 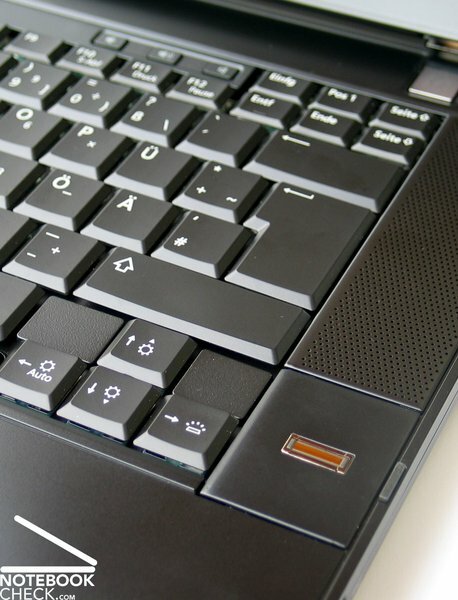 With its blue-violet border, the trackpoint also stands out a bit in the keyboard center of the laptop. Noticeable is also that the keyboard lettering was kept solely in white. One can also describe the design of the case as successful for its purpose. The very plane base unit with a height of merely 22 millimeters is pleasing at first sight and although it has an abrupt edge at the front side, it assures a pleasant usage of the keyboard. The display seems almost too massive with about one centimeter of component strength at its sides. With a just as strictly linear and geometric line it adapts optimally to the base unit. 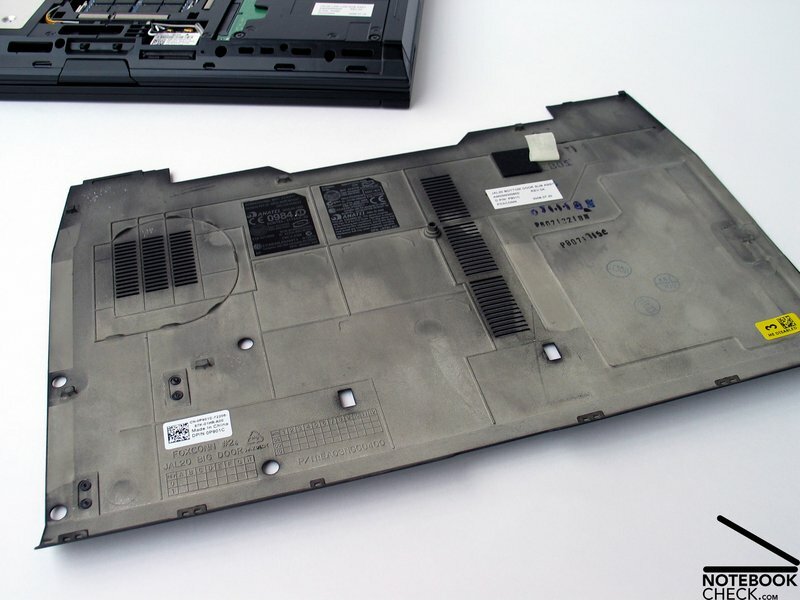 Not only the optic and haptic of the notebook profits from the generous use of metallic components, the biggest beneficiary is primarily the offered stability. Put under pressure the base unit gives away selectively to some extent on the upper as well as the bottom side. Also, when raising the notebook at the front edge no deformations or even creaking noises are noticed. The display cuts of, in regards of stability, extremely impressive. As the twist resistance of the display can only be called sufficient, the metal chassis of the display lid shows its strength when put under pressure. We did not manage to provoke optically perceptible changes on the active display in the pressure test, even at outstandingly high compression. 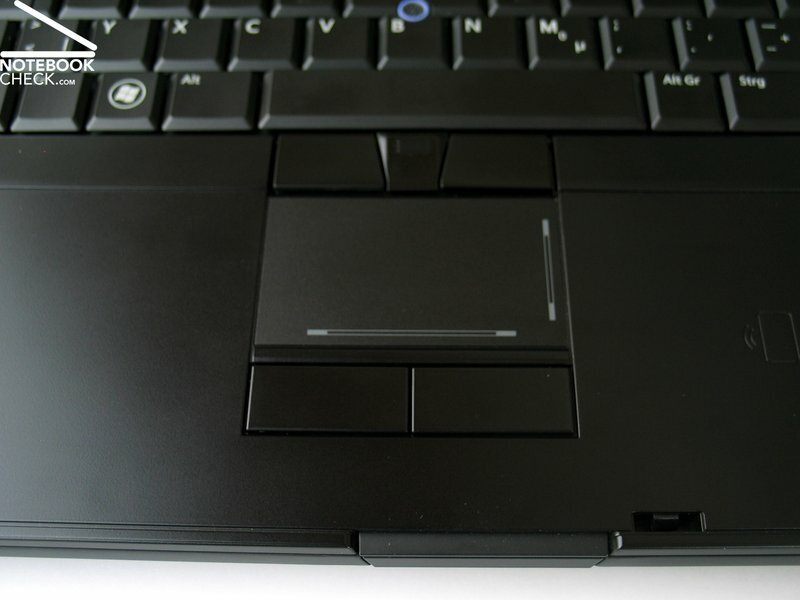 Fundamentally strengthened are the two display hinges that are manufactured from a solid piece of metal, and presumably it’s not a coincidence that it optically reminds very strongly of the robust hinges in the Lenovo ThinkPad. The display is kept absolutely firm and almost teeter-free in position by them. Thanks to the, of course, just as metallic central fastening clasp on the upper display edge the display can be locked in a closed state and offers additional security during transportation. 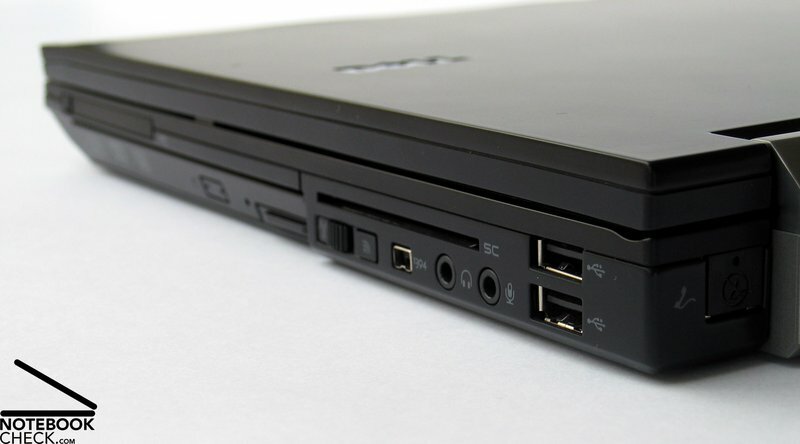 The Dell Latitude E6500 starts up with the proverbial phalanx in the offered ports. An extremely important aspect stands out quickly in usage: The order of the connections. The front side is kept completely free from the existing ports. Even on the left and right sides, the individual sockets are concentrated on the back third so that it doesn’t matter if a left or right hander uses it. The areas beside the device are therefore always free from connected sticks and cables and guarantee a pleasurable handling. This is made possible through the position of the optical drive, placed on the cases' right front side. 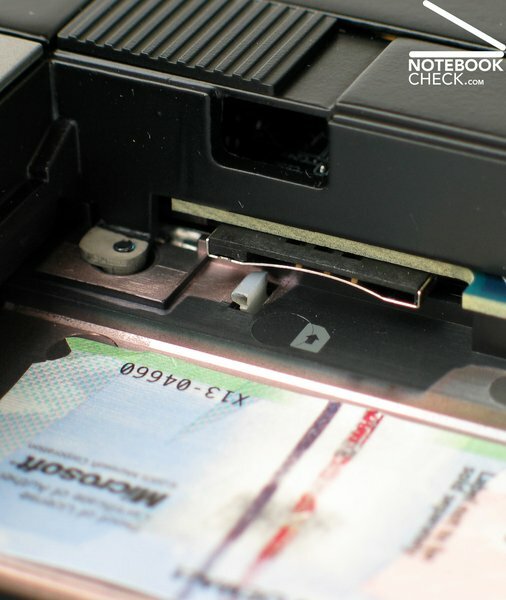 Above the modular drive bay a PCMCIA slot is also built in. Following this there are, on the right side back area, a switch to deactivate the WLAN module as well as the "WiFi-Catcher". 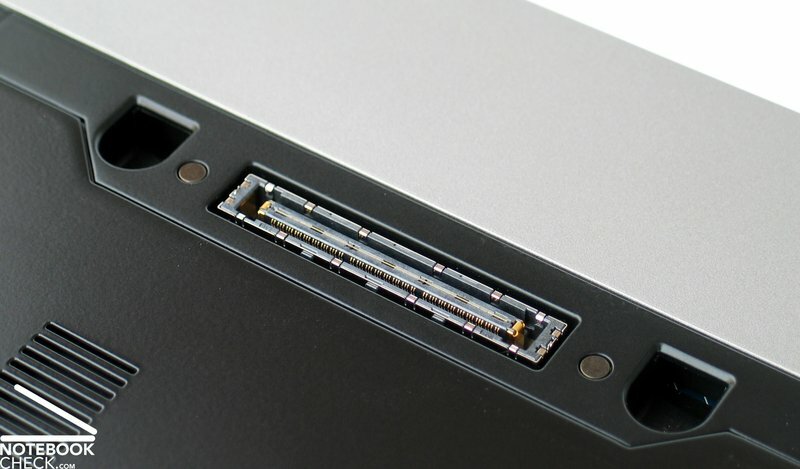 A Firewire IEEE 1394 port follows, the audio ports for headphones and microphone as well as two USB 2.0 sockets in the corner. Above these ports one finds, as an interesting security feature, a SmartCard reading device. On the back side there is a hidden modem port in the left corner to be found, which was closed by a dummy plug in our test model. Following this one will find the LAN connection here. The cell is placed centrally on the back side. On the right beside the batttery one also finds the new digital display port which allows the connecting of external monitors with a high resolution. On the very outside right one finally finds the power socket. On the left side of the case the Latitude E6500 has a SD-Card reader in the front area followed by an ExpressCard slot. 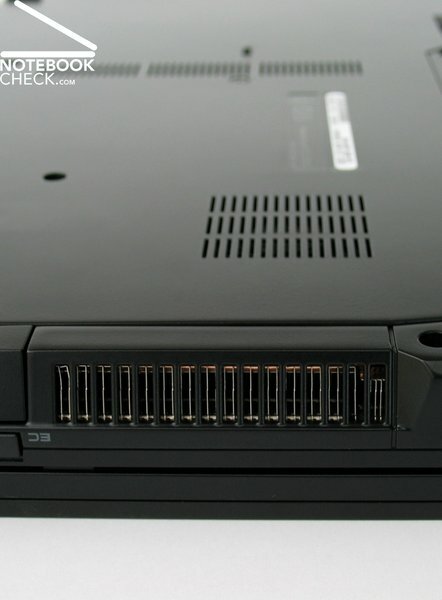 Beneath these reading devices, a cover secured with screws is found where one has quick access to the built in hard disk. In the middle area of the left case edge, the exhaust port of the integrated fan. This is just about the only point which slightly discriminates left handed users in opposition to right handers. 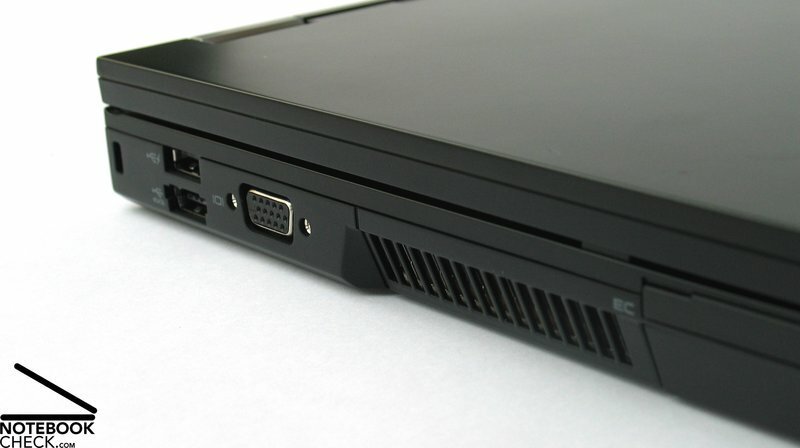 In the back third of the side edge is also an analog VGA connection, for connecting a beamer or an older monitor. 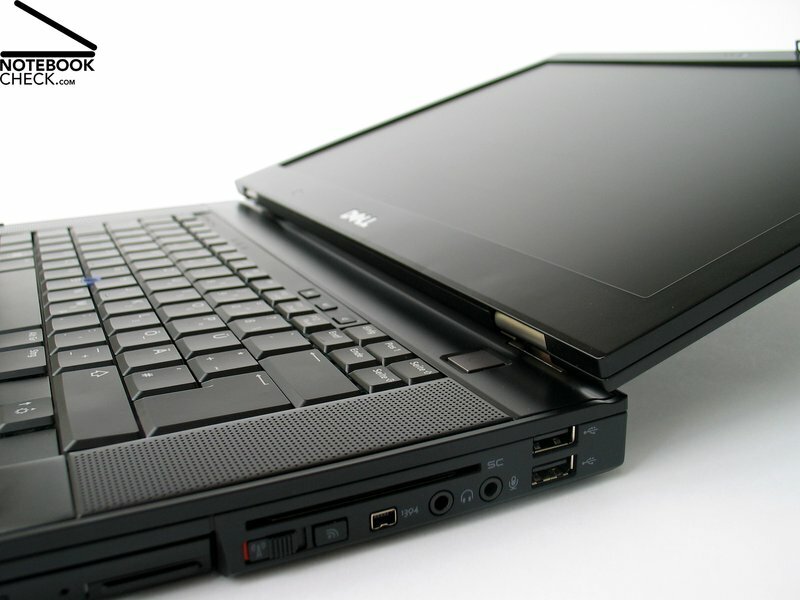 Besides that the Latitude E6500 offers a USB2.0 port as well as an eSATA port for the connection of an external hard disk, which can also be alternately used as an USB port. Last but not least, the Kensington lock is found here as well. Dell also provides an extremely complete supply of communication modules. 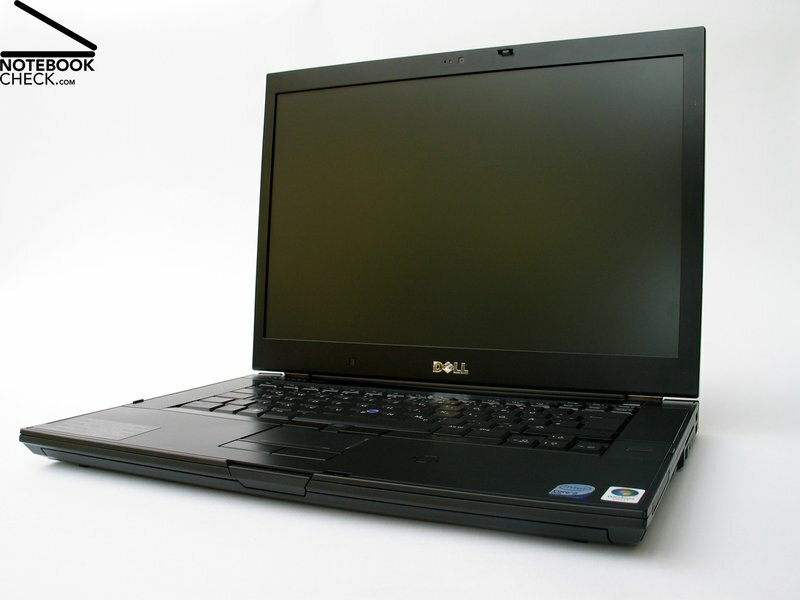 The repertoire of the E6500, for instance, includes a gigabit network card from Intel (82567LM) as well as a wireless LAN Draft-n as the Dell Wireless 1520 MiniCard. 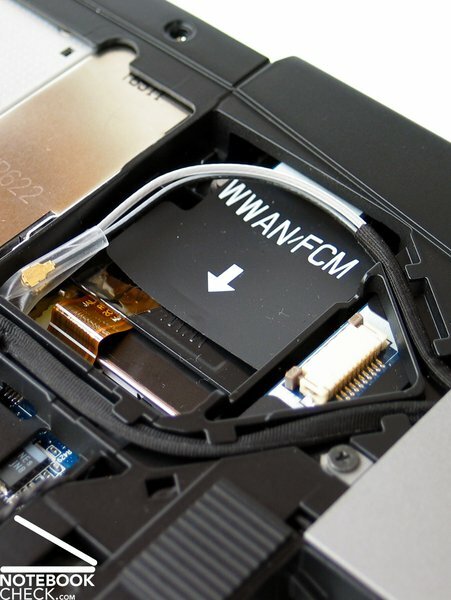 Optionally, the Intel Wireless 5300 module is available for even quicker wireless transmission rates, with which data transmission rates up to 450 Mbps can be reached. Furthermore one can attach a 56k modem (V.924) to the Latitude E6500. 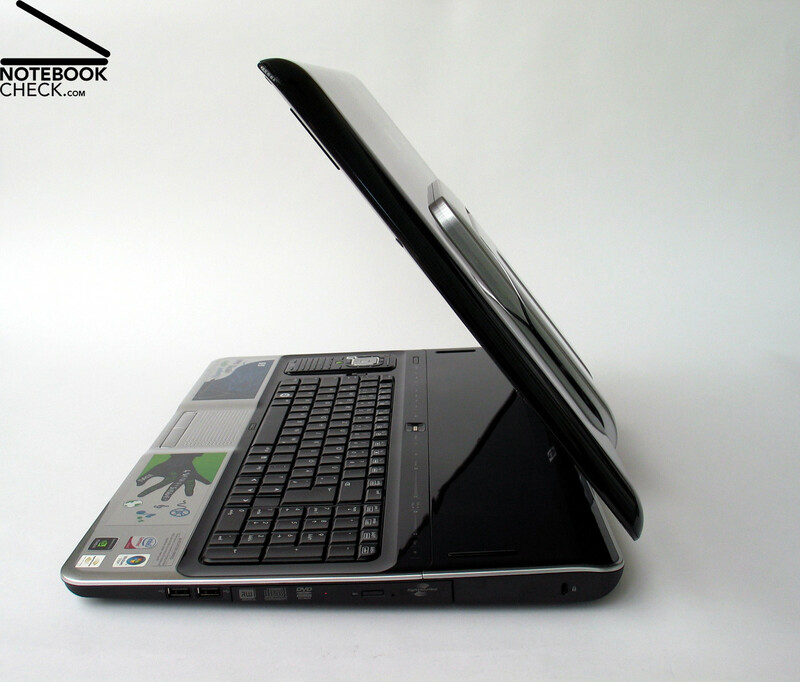 Optionally, the notebook can also be equipped with a Bluetooth 2.1 with ultra broadband (UBB). This new Bluetooth standard (“Seattle Release”) should make transmission rates of up to 480 MBit possible. Meanwhile one counts UMTS broadband preparation to the standard, at least in business notebooks. 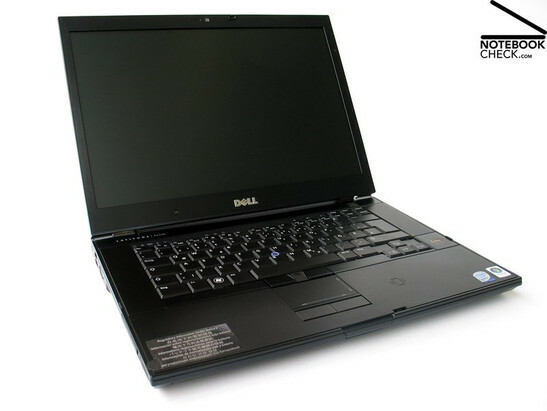 The Latitude E6500 can be fitted with a Dell Wireless 5720 MiniCard or a 5530 MiniCard for this purpose which support the HSDPA and HSUPA (up to 5.8 MBit/s). The obligatory SIM Card from the respective provider is inserted above the battery slot in the E6500. Not only extensive communication features but solid security equipment is part of the obligations that belong to elevated business notebooks. 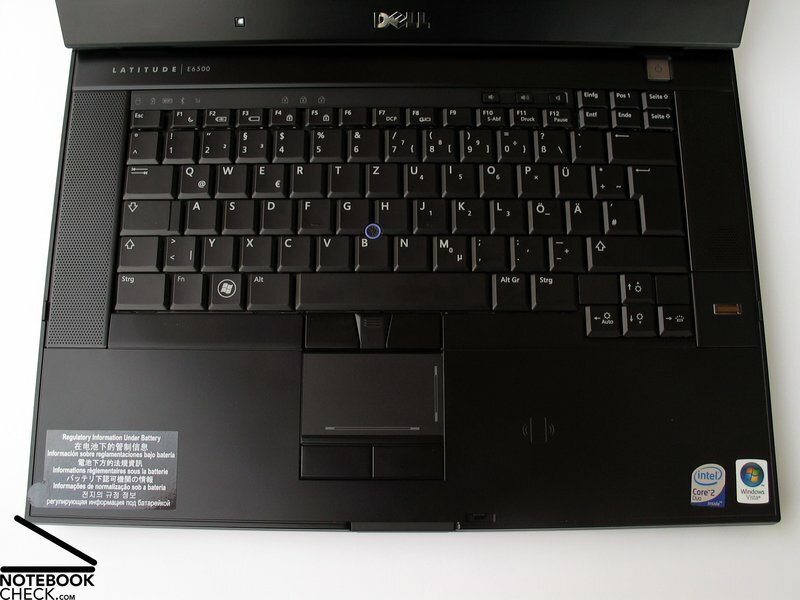 The Dell Latitude E6500 refers in this matter to the integrated SmartCard reader as well as to the optional fingerprint scanner as a measure for access control. The series equipment of the E6500 comes with an integrated TPM (Trusted Platform Module) 1.2 chip which codes data on the device, protecting it against abuse. 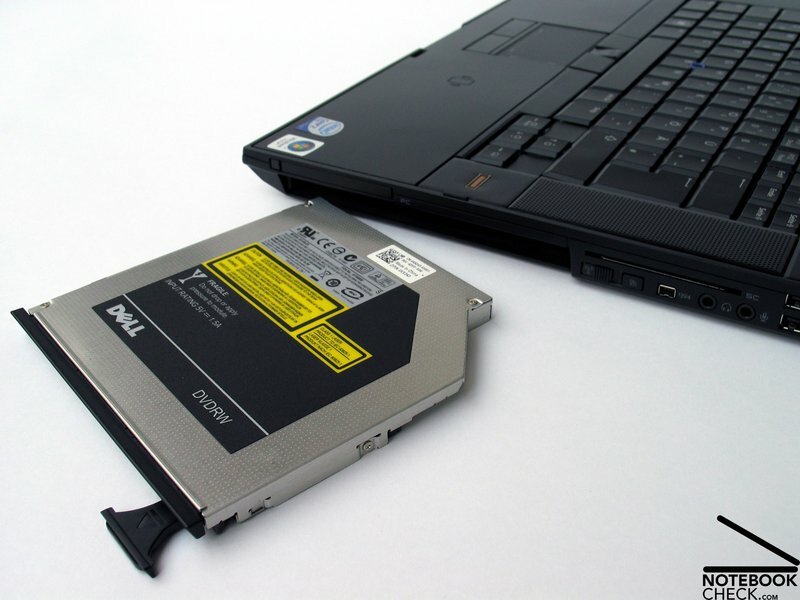 A special hard disk with a free fall sensor adds to data security as well, as this recognizes possible falls first and discards the writing/reading head, protecting the data medium from data loss. 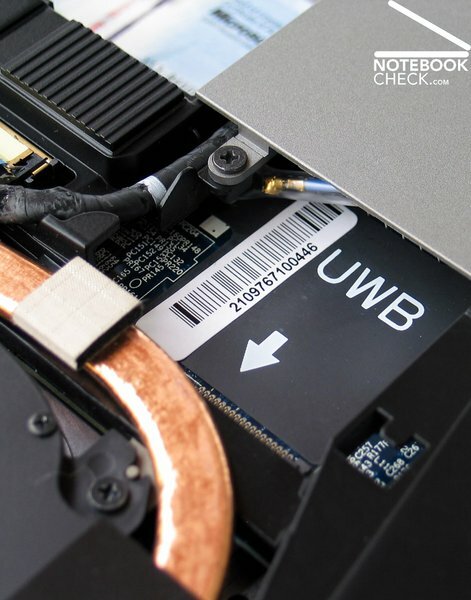 Regarding this, only an SSD drive (optional) offers more efficient protection because this has no moveable parts and therefore is insensitive to vibrations. There are even numerous options possible in service and support. One can chose a 4 year onsite service for the next work day (€172.00). Three years onsite service for the next work day is granted ex factory. Also for the hardware, normally excluded from the guaranty, Dell offers matching insurance packages. For instance an accidental damage insurance for up to five years (+229.00) or a theft insurance up to four years (+269.00). The order of the keys shows a hinted grouping in the function key field as well as an offset and exempt cursor block. With a stroke surface of 14x15 millimeters the standard keys are very generous. This applies to the double spaced return key as well as an enlarged shift, ctrl. and alt key. All of this contributes to a quick and almost faultless adjustment on the keyboard. Typing itself has to be described as rather jerking, because of the extremely concise pressure point, which fits to the strict geometric layout. Also the keyboard could prove to have a slightly too strong pressure resistance for some users. This depends, however, on the individual preferences of the user. Subjectively unpleasant is the strongly decentralized spacebar as well as the possibility that the keyboard slightly bends on the right and left side of the device. Typing was not affected negatively through this, though. 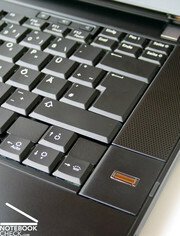 Like numerous competitor models from HP or Lenovo, the Latitude E6500 has a combination of a touchpad and a trackpoint. The touchpad has a pleasant surface with pleasing gliding traits and has an optically highlighted horizontal and vertical scroll field. The two related keys can be pressed without too much pressure and have a considerable stroke range. This applies to the trackpoint keys, as well. The trackpoint itself has a pleasant shape and reacts just as good in usage. Except for three keys to regulate the volume of the sound output the E6500 doesn’t have any additional keys on the upside of the base unit. 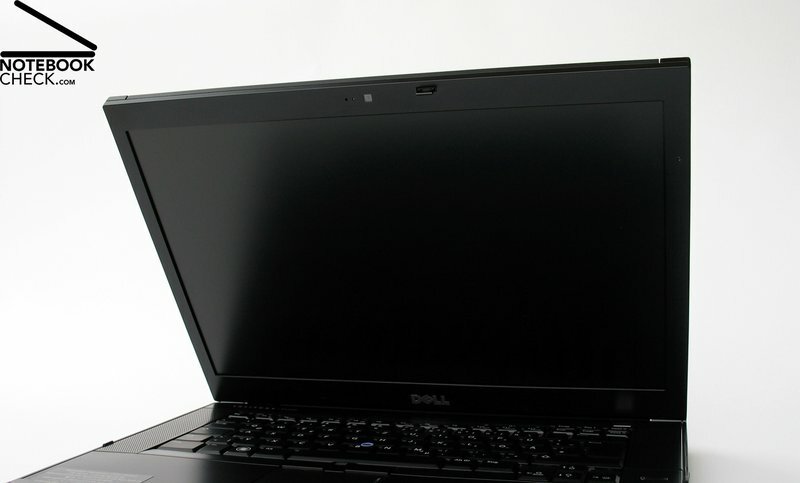 There are three different 15.4 inch display variations available for the Dell E6500. Amongst others a 1280x800 WXGA screen, a 1449x900 WXGA+ display with a LED background light and a high resolution 1929x1200 WUXGA display. Dell refers to a particularly wide viewing angle in the finer resolution displays, more about this a bit later. Our Latitude E6500 test device had a WXGA+ screen with an LED background light and a luminosity sensor for an automatic adaptation on the surroundings which could score in our readings. The display achieved a maximal brightness, with deactivated sensor, of a very good 303 cd/m2 in the central display area. Since even in the border areas the illumination loss was kept in a frame, the screen could come up with a good illumination of 88.1%. The colors seem to be very bright, although the display has a matte surface finish. Before the calibration of the screen with the Spyder 3 tool from Datacolor the E6500, it showed a clearly too cold image with too many blue components. After the calibration the screen conveys an image in deep black tones and warm skin tones. 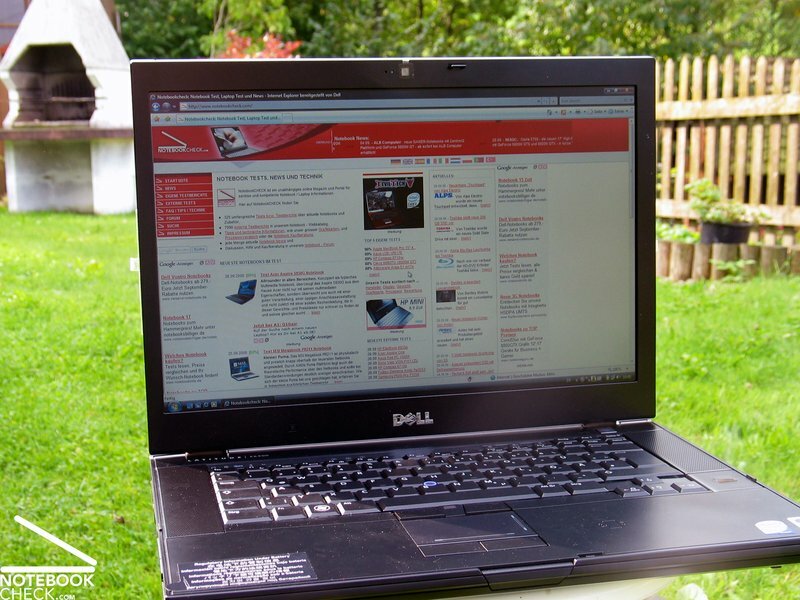 The very good display brightness of up to more as 300 cd/m2 guaranties together with the matte display surface a very good usage of the Latitude E6500 outdoors in bright surroundings and always offers a good to read image. Dell calls the display variations WXGA+ and WUXGA format as displays "with a wide viewing angle" or as "Wide View" screens. This could only be confirmed to an extent. The in our test device built in 1440x900 pixels WGXA+ display with a LED light had in the horizontal viewing range a stable image. However generous the viewing angles are, in the vertical viewing range it comes to a contrast loss and a dimming of the image, especially in the downward deviation. 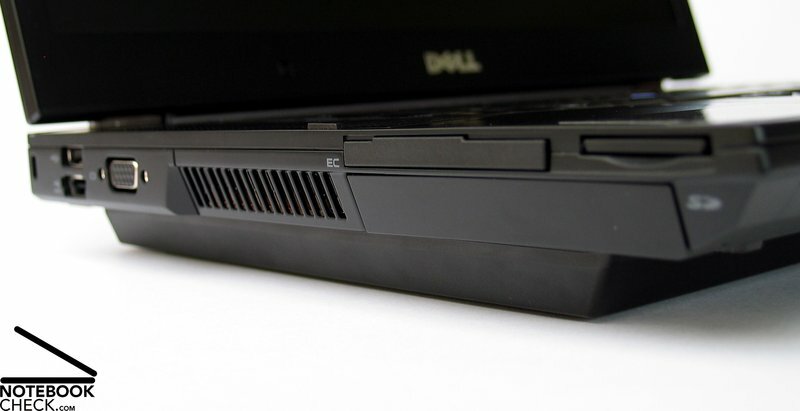 In comparison to numerous other business notebooks the Dell E6500 comes off positively. However, the display does not approach by far the, in the meantime unfortunately no longer available, Flexview screens of older IBM ThinkPads (concerning viewing angles). 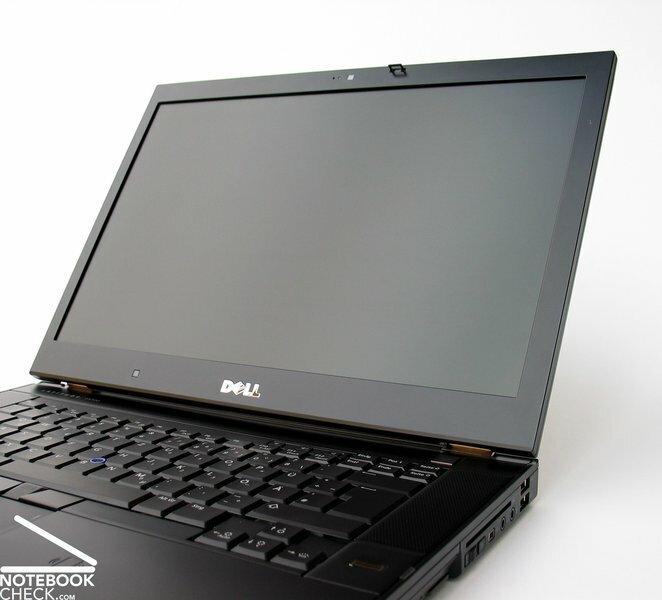 The Dell Latitude E6500 is placed under office devices, which strengths are found in the extensive communication features, the integrated security mechanisms and the excellent mobility of the laptop. 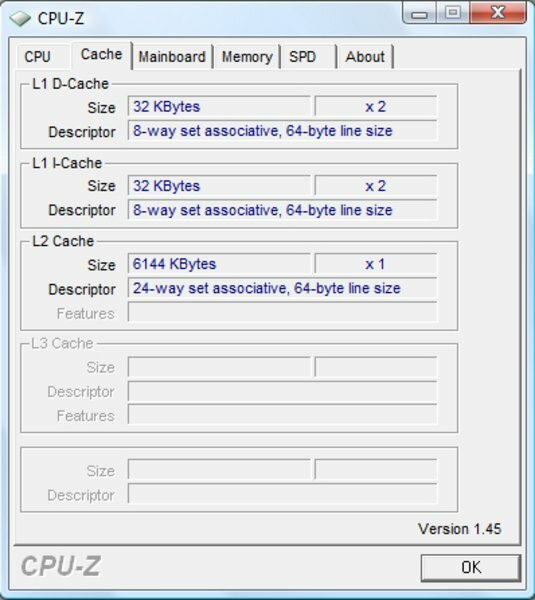 Nevertheless, in regard to performance the E6500 can be upgraded quite passably, at least what the CPU of the system concerns. 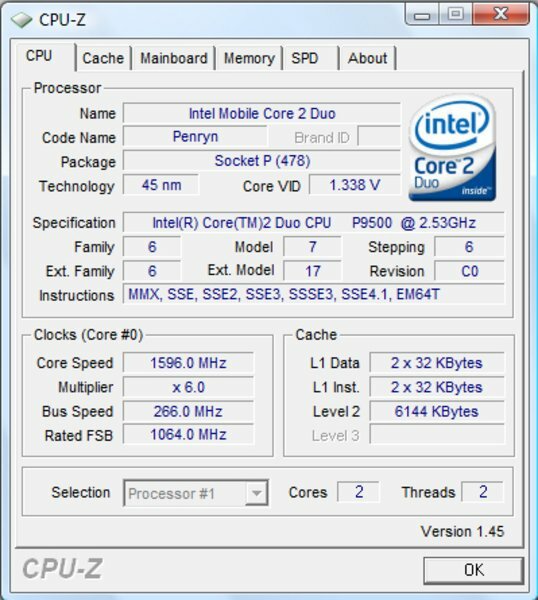 Beginning with the Core 2 P8400 with 2.26 Ghz up to T9600 with 2.8 GHz and 6B L2 Cache, the entire up-to-date Centrino 2 "Penryn" range is available. While for office basics, like internet and writing texts, the smallest available CPU suffices, for higher computing needs, like advanced photo processing or complicated calculations, a more efficient processor is of advantage. The built in Intel Graphics Media Accelerator 4500M HD or a twice as fast and electrical power hungry dedicated NVIDIA Quadro NVS 160M graphic card takes care of graphic needs. The customer must again choose between low priced basic equipment and an upgrade, more efficient but for a surcharge . The built in 4500M HD graphic chip fulfills all daily demands, such as classic office usage, internet and video (even HD). In case of a higher graphic requirement for images, for instance 3D graphic and visualization software, the Quadro NVS 160M graphic is the better alternative. 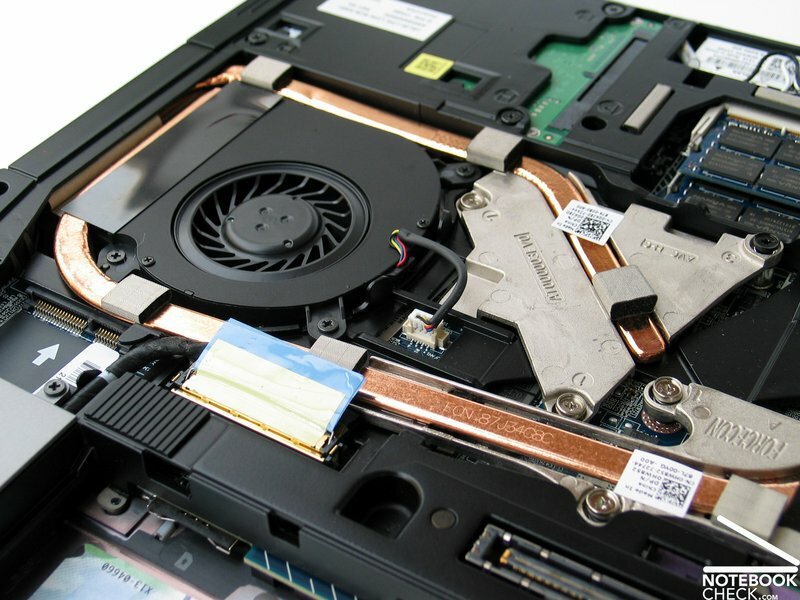 This is based on the Geforce 9300M GS graphic card which is built into various consumer laptops but is equipped with special drivers for business and CAD applications, granting a better performance and a permanently stable operation. The graphic card has a total of 256MB GDDR3 video memory. 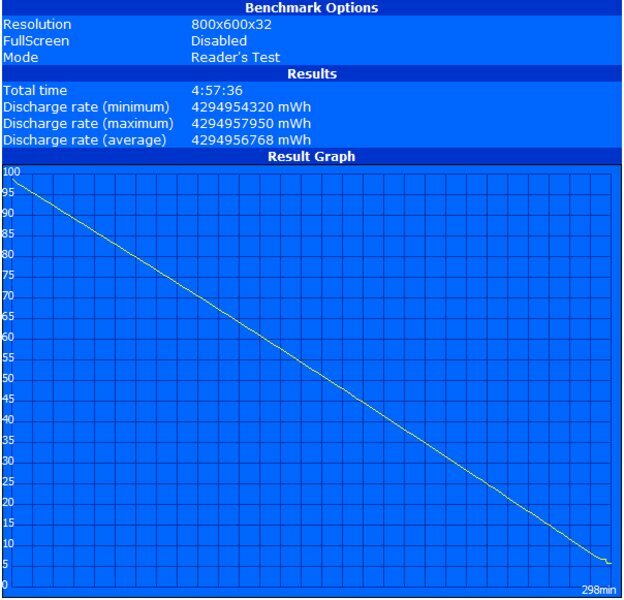 Our test device, equipped with a Core 2 Duo P9500 with 2.53 GHz and nViDIA Quadro NVS 160 graphic card, achieved in the PC Mark 2005 Benchmark test an excellent result of a very good 6100 points. 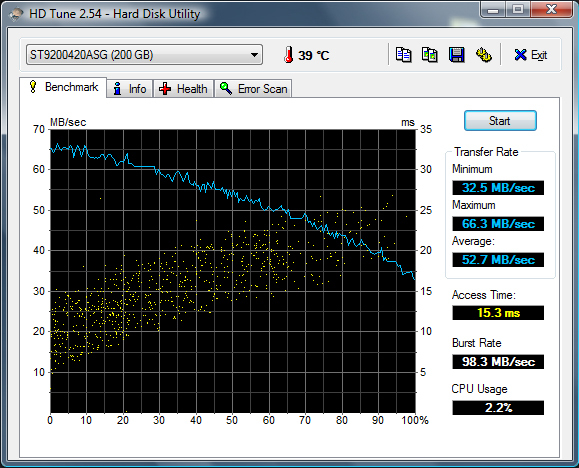 The powerful Core 2 Duo CPU besides other components, like RAM and hard disk, are also responsible for this result. 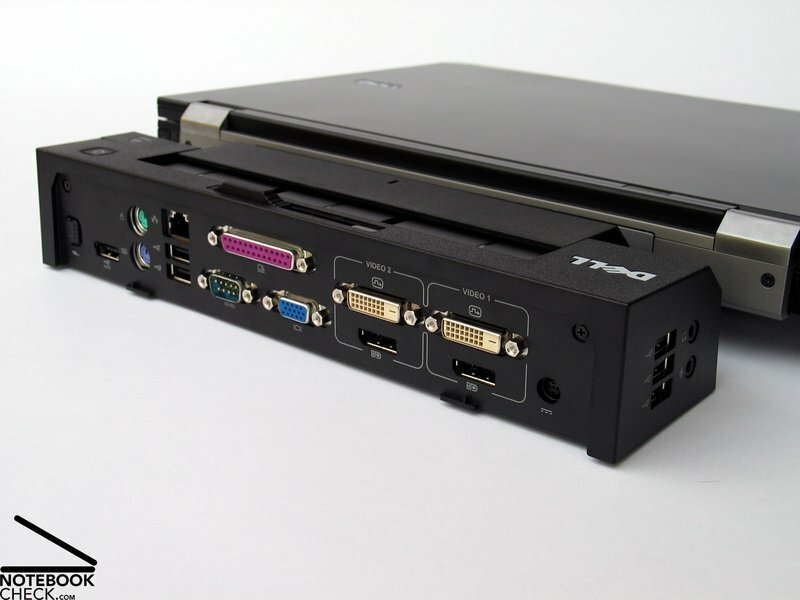 Besides this the Dell Latitude E6500 already has the new Intel Montevina platform (Centrino 2), which has a Front Side Bus (FSB) speed of 1066 MHz, making an extraordinary connection of the single hardware components possible, for instance with the RAM modules. 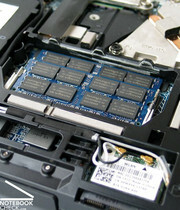 DDR2 memory is supported from Dell with a clock rate of up to 800 MHz. 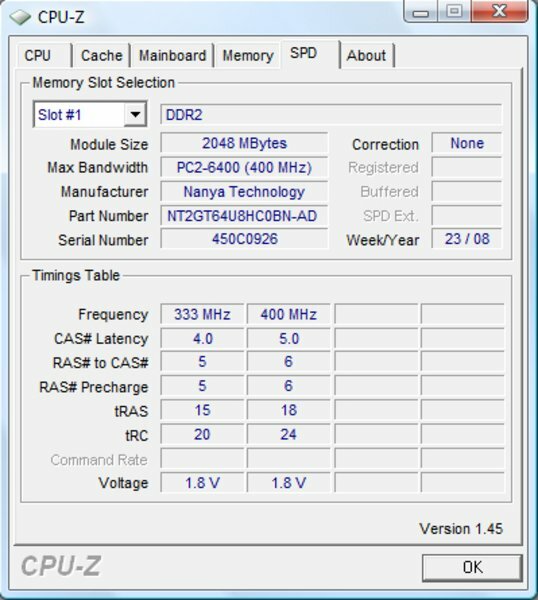 In our test device a total of 4096MB DDR2 memory, divided into two modules á 2 Gigabytes, was applied. 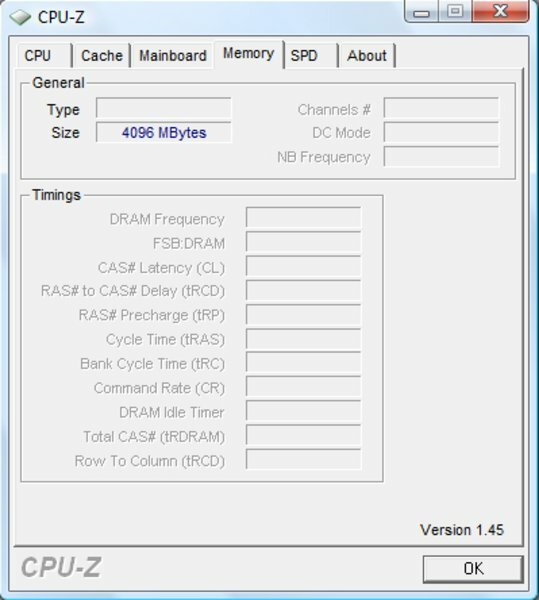 This was a DDR2-800 (PC2-6400) chip which did not quite use the possibilities of the Intel PM45 chip set with its clock rate of 800 MHz. Thanks to the 64 Bits operating system (Vista business) the entire RAM offer is also available for various applications. 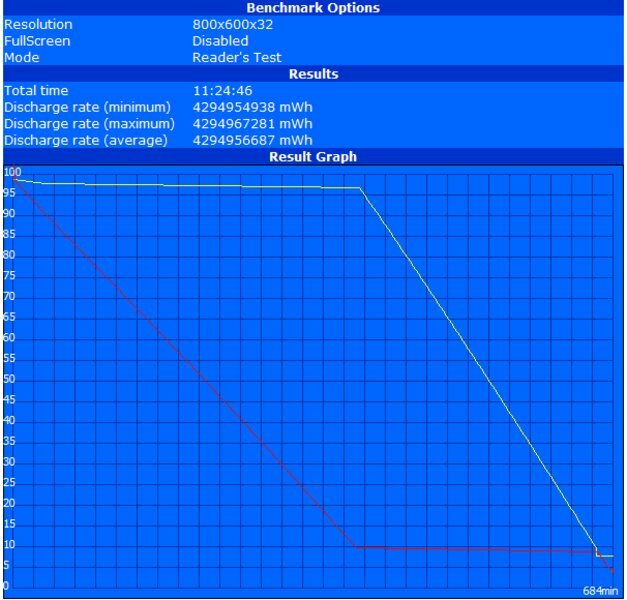 The performance of the Latitude E6500 also turns out extremely positive in the Cincebench R10 Benchmark test. 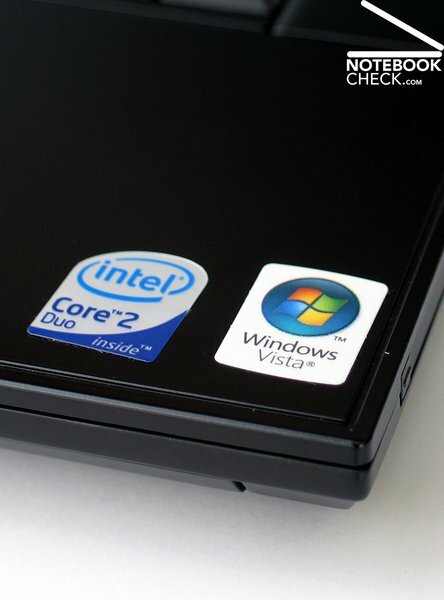 Especially the Intel Core 2 Duo CPU can convince with good results in the Rendering test. 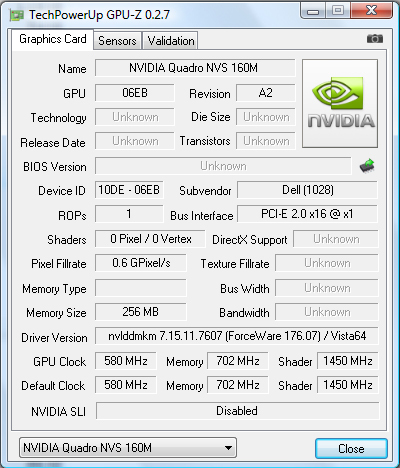 In the OpenGL Benchmark one can observe that the nVIDIA Quadro NVS 160M pushes itself slightly in front of its identically constructed Geforce 9300M GS and furthermore considerably in front of its forerunning graphic card, the NVS 140M. 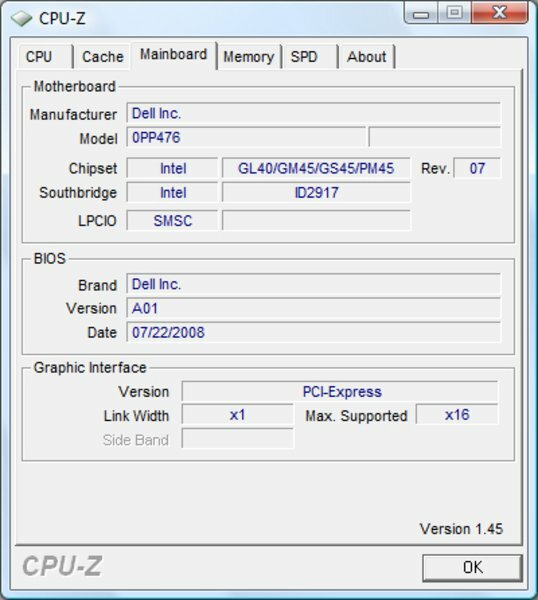 For professional needs in CAD and visualization fields one should take a more efficient graphic card anyway, like the ones Dell offers in the Precision series. 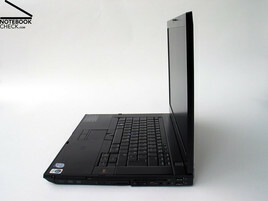 To be considered would be the Quadro FX 770M like in the Dell Precision M4400, the 15.4" workstation counterpart of the Latitude E6500. Dell offers a whole range of options in the choice of the desired hard disks, as well. In the online assortment there are the newest models with a speed of 5400 rpm, starting with 80 GB up to 250 gigabyte gross capacity as well as models with 7200 rpm and a maximal capacity of up to 250 GB. Even a SSD drive with a capacity of 64 GB is offered to a proud price of 648.00 Euro. If you regularly work with bigger data mass, the quicker 7200 rpm hard disk is advisable. One should also pay attention on the additional features of the offered drives, such as a built in free fall sensor. The Seagate Momentus hard disk (7200 rpm), that was built in to our test device, delivered in the HDTune Benchmark test an average transfer rate of about 52.7 MB/s as well as a low access rate of 15.3 milliseconds. 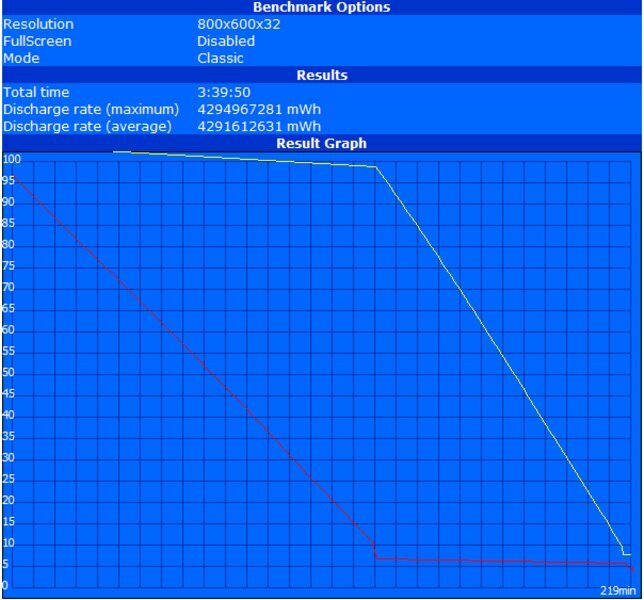 The results in the HDTune Write test were about 50 – 60 MB/s. Everyone who may want to play the one or other game, after a strenuous day in the office, should choose the Latitude E6500 variant with the dedicated NVS 160M graphic. This has about the same level as a Geforce 9300M GS graphic card and can be counted to the multimedia starter chips. 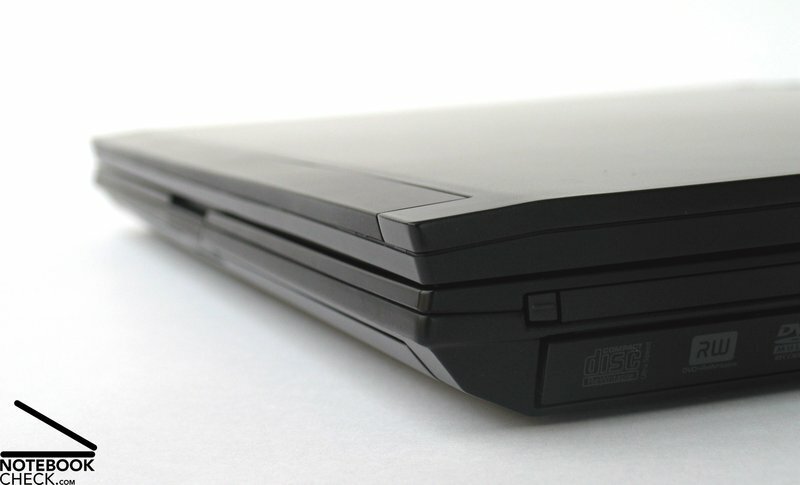 Two current games were checked out closer with the Latitude E6500. The classic ego-shooter Call of Duty 4 as well as the real time strategy game Supreme Commander – FA. Implying Call of Duty 4 in the settings of 1024x768, AA turned off and all other details and settings on minimum or out, a frame rate of 20-60 fps could be observed in the first scene. CoD4 was definitely well playable with that, nevertheless, short interruption times could be observed now and then, however. In 1 vs. 1 multiplayer test of Supreme Commander – Forged Alliance with a resolution of 1024x768 pixels and medium presets in the graphic details, an average performance of 10-15 fps could be observed. With this the whole game was moderately playable. A further reduction of the graphic details to low should bring an additional improvement and more reserves for multiplayer games, too. The Dell Latitude E6500 operates extremely quiet and restrained in the idle and office mode. With a volume of only 32.3 dB(A) the notebook stays in the background and is only for very receptive ears audible. The fan stays surprisingly long on a low idle level when under load. Only after some minutes of specific exploitation the system fan increases its speed and reaches a maximum loudness of 42.8 dB(A) in the end. In this condition the E6500 can be described as considerably audible but not yet disturbing. The low emission during watching a DVD also turned out positive, as well. The laptop stays at a constant 35.6 dB(A). The temperatures noted on the case surface have to be described as barely noticeable, as well. A temperature rise on the top side of the base unit of 37.5°C on the left side of the keyboard area was detected. Because this is still in the area of body temperature, this increase doesn’t subjectively stand out unpleasantly. A slightly higher rise in temperature is noted on the bottom side of the case. Here a maximum temperature of up to 40.6°C has been noted. But even when used on the lap these values shouldn’t be a reason to worry. 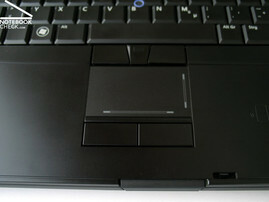 The Dell Latitude E6500 offers two speakers left and right of the keyboard. These are very present and have a passable sound when listening to music. Merely a certain bass weakness has to be reproached on both loudspeakers. The maximal volume is o.k. as well. In the test annoying cracking noises where noticed every now and then at maximum sound out, which dampened the music pleasure. The 3.5mm headset out always brought a perfect and full sound over our Sennheiser PC 131 headset. 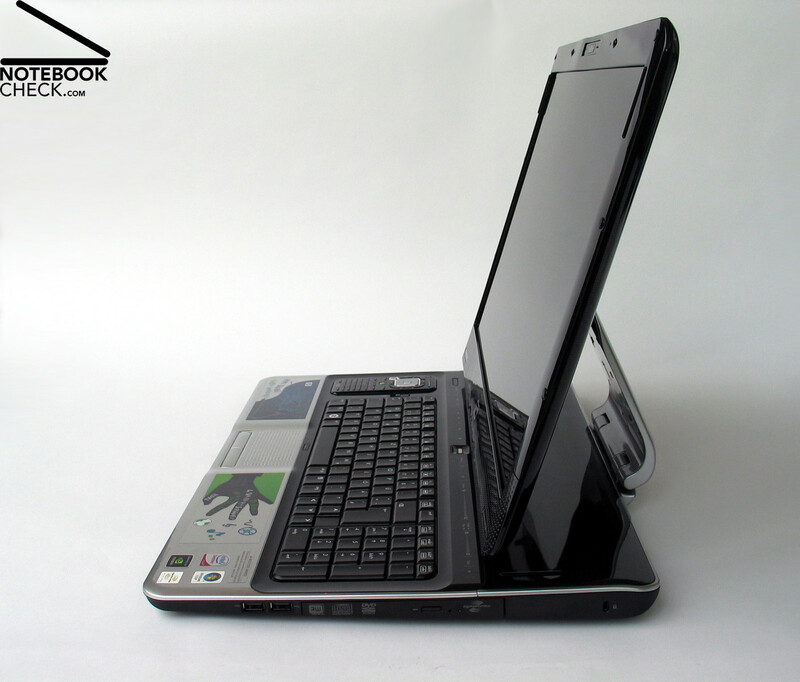 Three different cells are available for the Dell Latitude E6500. Optionally there is a 4 cell variant, a 6 cell battery pack with a capacity of 54 Wh, which was built into our test device and at last a 9 cell main battery with a capacity of 85 Wh. This comes with a surcharge of impressive 120.00 Euros. In the battery runtime test a very good result was already achieved with the built in 6 cell battery. In the BatteryEater Readers Test (min. brightness, energy saving mode) the Latitude achieved for the maximum possible runtime a very good result of almost 3 hours. For the dissociation in the opposite direction with help from the BatteryEater Classic Test (max. brightness, peak performance, WLAN on, load), a minimal expected runtime of 1.5 hours could be noted. It has to be pointed out that the Latitude provides the maximal performance in battery mode on request. In the practical WLAN mode with maximum display brightness and an activated energy saving mode, the notebook achieved an equally good 4 hour runtime. Even during a DVD playback (max. brightness, energy saving mode) the cell held for a good 2 hours 40 minutes. There are two possibilities in case of a higher mobility demand: Either one uses the 9 cell main battery, which has a capacity of 85 Wh promising an approximate 50% higher runtime, or one equips the E6500 with an external 12 cell supplementary battery (84 Wh, 14.8V, 890 grams). This is docked on the bottom of the laptop and supplies the notebook over the docking port with energy. Besides this, the supplementary cell can be loaded with an own power supply. At the moment this extension is only available in the U.S. Dell shop. A price of 299.00 dollars is indicated there. The supplementary cell already gave us a small presentation of its efficiency in the test. 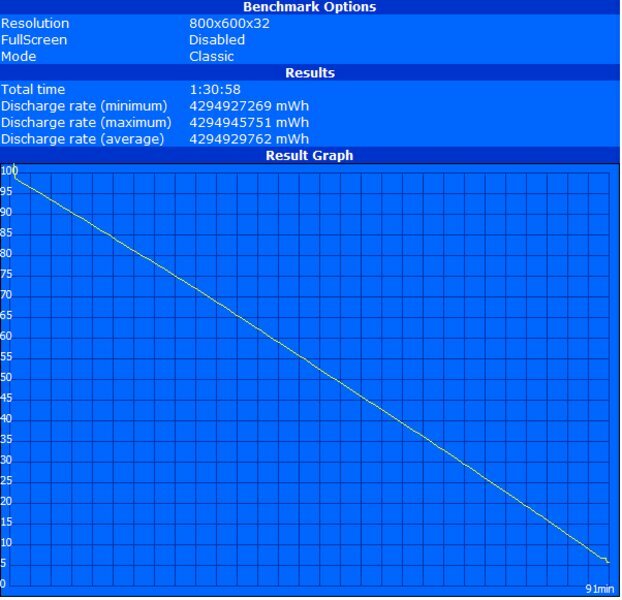 The E6500 achieved in the BatteryEater test with the supplementary battery a respectable time of maximum runtime of 684 minutes. That is equivalent to 11 hours and 24 minutes and means a plus of 6 hours and 26 minutes. Under load the E6500 reached with 219 minutes a runtime plus of 128 minutes in the BatteryEater Classic Test. 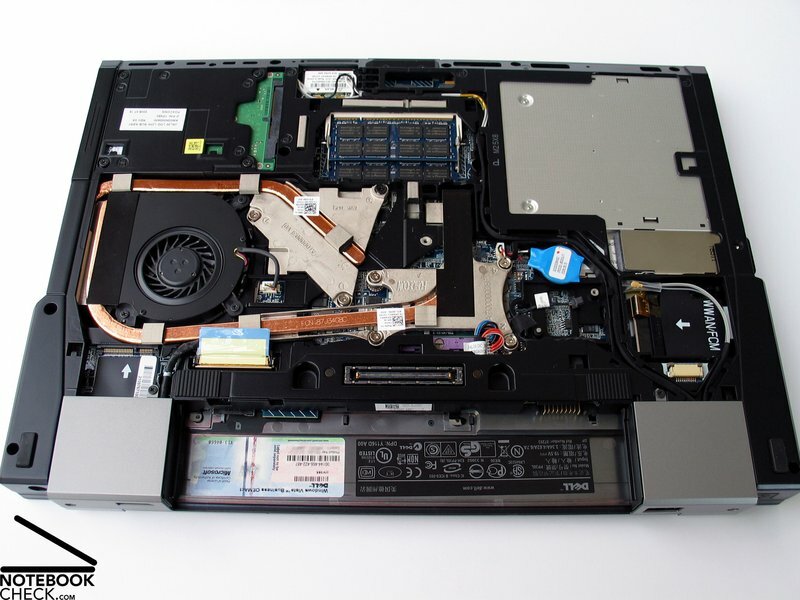 In combination with the bigger 9 cell main battery and the external supplementary cell and moderate performance requirements of the laptop, a complete working day with about 9-10 hours should be possible. Besides that, it was noticed in the test that the interlocking of the supplementary cell didn’t catch very good. During handling with the notebook it happened that the docked supplementary battery sometimes disconnected itself from the notebook. 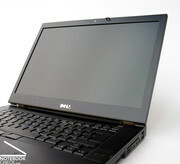 With the new Latitude series, particularly the tested E6500, Dell has succeeded in landing an outstanding hit. 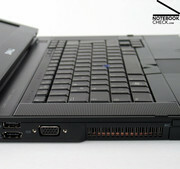 The notebook puts itself clearly in competition to the adequate models of HP and Lenovo and convinces across the board. No compromises have been made regarding the case and the chassis is completely manufactured out of a magnesium based alloy. The result is impressive. The Latitude E6500 convinces with a very stable and robust case and is therefore fit for an intensive mobile use. The laptop shows itself very generous what the connectivity concerns. The offered display, eSATA and USB ports are positioned very user friendly on the back and on the sides, here in the rear area. 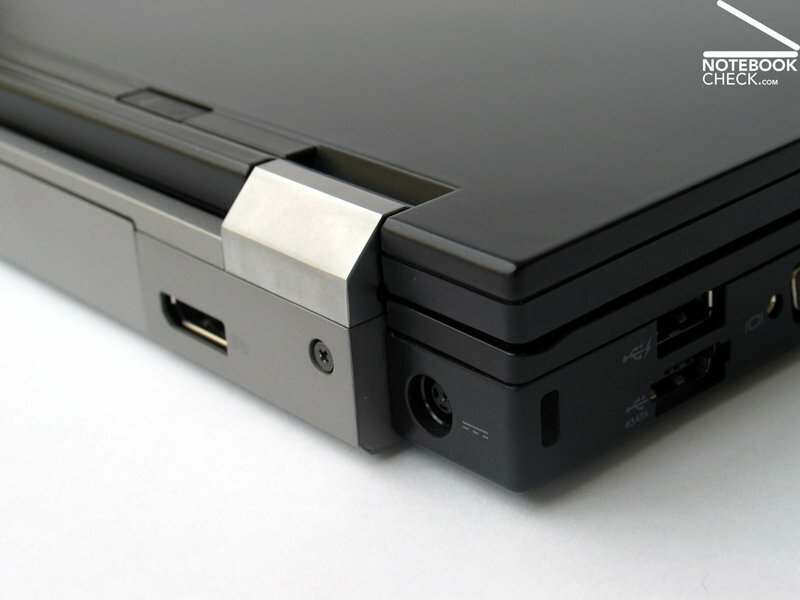 Over the docking port on the bottom side of the base unit, the notebook can be either coupled to various docking stations or a supplementary cell can be connected. In the standard scope of the E6500 is a UMTS/HSDPA broadband preparation as well as extensive security features such as a fingerprint reader and a SmartCard reader. The built in keyboard shows itself in consideration of the key order and layout as very generous. 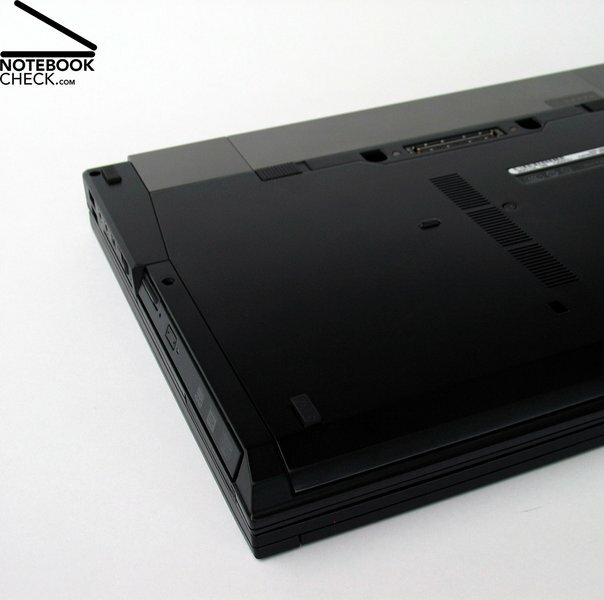 The notebook can also be used without problems in darker surroundings with the optional keyboard lighting. Besides a slight bending of the keyboard under pressure, the decentralized position of the spacebar which one has to get used to, should be mentioned as a point of critic. Three different display variations are offered from Dell. The tested WXGA+ screen with a background light could score positive in all tests. The display with a matte surface delivered an excellent brightness of more than 300cd/m2 and can therefore be also used outdoors without hesitation. Regarding the performance and hardware performance, the Latitude E6500 shows its strengths fully thanks to the Centrino 2 platform from Intel. The latest Penryn processors from Intel in connection with the fast DDR3 memory modules and efficient hard disks provide a first-class application performance. 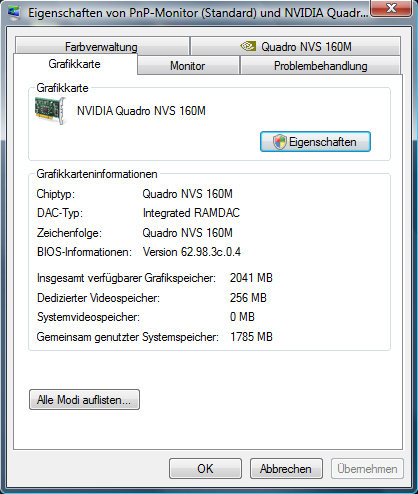 Merely, with regard to the graphic visualization, the possibilities are limited due to the Quadro NVS 160M graphic card. Here the Precision M4400 series attaches, where the main emphasis is in 3D and CAD applications. The Latitude E6500 cuts off as extremely pleasing in the loudness test and in the measuring of the maximal temperatures. In moderate office use both points turned out to our satisfaction. Small flaws were noticed at the sound out, where by maximal volume minor blemishes were observed. With a whole range of battery solutions, inclusive external cells, Dell doesn’t leave anything to be desired in respect to the mobility of the Latitude E6500. With the 6 cell standard battery a good runtime could already be achieved. With the maximal equipment it is even possible to survive a whole working day without any cables. 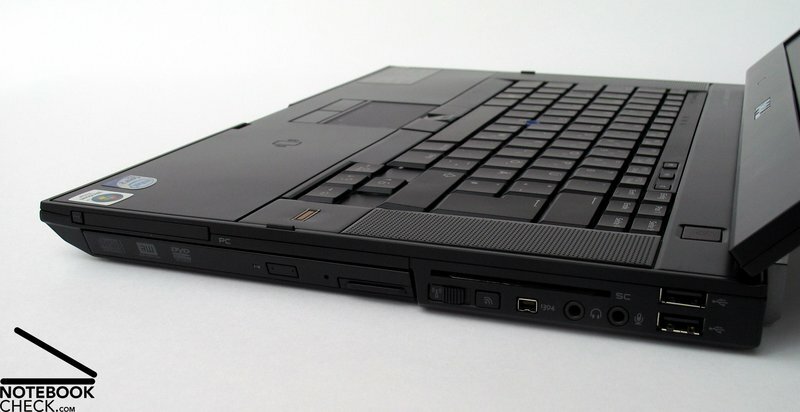 Due to this, the Dell Latitude is to be recommended especially for ambitious "heavy users" who put the emphasis primarily on excellent mobility. With a strong case, a justifiable weight (2.7 kg), an outdoor competent display, battery solutions which grant a long power independent use and finally considerable guaranty options, a planned intensive mobile exertion can be made. The Latitude E6500 is in the configuration of our test device available at a price of 1655.00 Euro (e-value code: Reviews-NRL6502 in the company customer shop). With the new Latitude business notebook series, Dell takes its previous Latitude DXXX models off and brings on a completely new platform. Besides a possible bending of the keyboard, the decentralized spacebar is primarily a point of critic. 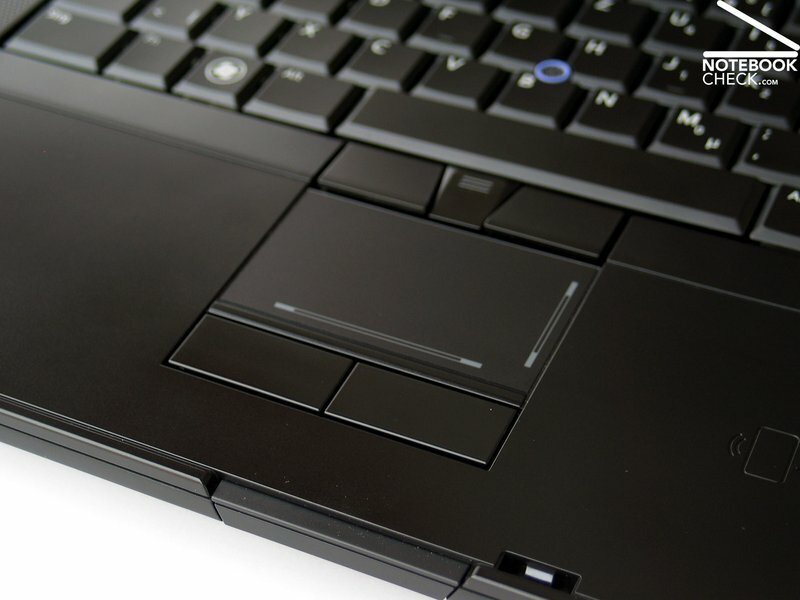 The touchpad-trackpoint combination provides a passable service. The E6500 offers only three add-on keys which control the sound out. There are altogether three display variations (WXGA, WXGA+, WUXGA) available for the E6500. Primarily the 1400x900 WXGA+ with an LED background light showed an excellent brightness and illumination. ...the generous magnesium servicing plate can be taken off on the bottom side of the notebook. So one attains quickly and simply access to all important hardware devices of the Latitude E6500. The notebook is based on the most recent Intel Centrino 2 platform and can be equipped with the newest efficient hardware components. 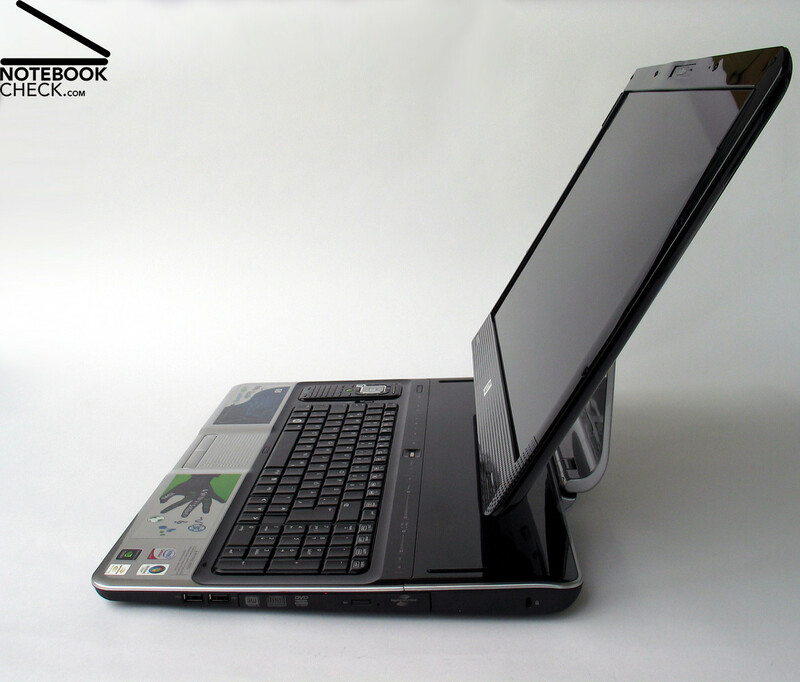 Our test device, for instance, was equipped with a P9500 CPU from Intel with 2.53 GHz and a Quadro NVS 160M from nVIDIA. In the case of the RAM, the faster DDR3 memory modules are already used with a speed of up to 1066 MHz. The fan always stayed in idle and office applications very quiet and discreet in the background. Even the temperature rise on the case surface remained in frame with a maximal temperature of up to 40°C. 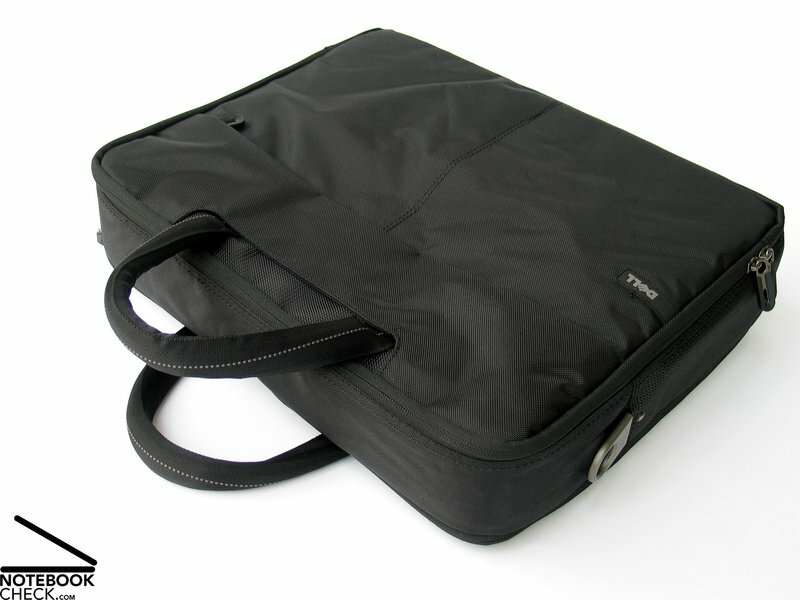 For an office notebook the speakers deliver a passable sound, however tend to override at maximal sound out. Many possibilities are offered in the energy supply of the notebook. Here a 4-, 6- or 9 cell battery as well a a supplementary cell are possible. 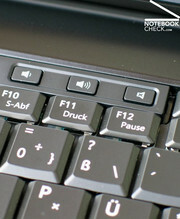 The optional keyboard light is very helpful especially by use in darker surroundings. The offered keyboard stands out due to a good overview and an understandable layout. The new Latitude notebooks turn out optically still more straight and more business-oriented. ... as well as on the design of the very flat base unit. 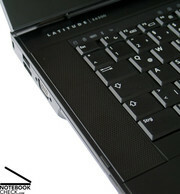 ...which helps the Latitude E6500 to get a remarkable case stability but also a high-quality haptic. When handling the laptop no deformations or creaking noises could be observed. 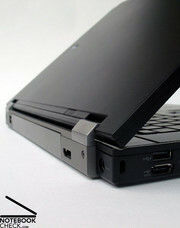 In the new display hinges a certain similarity to those of the ThinkPad models can be noticed. The solid metall hinges hold the display in place and promise to be long lasting. 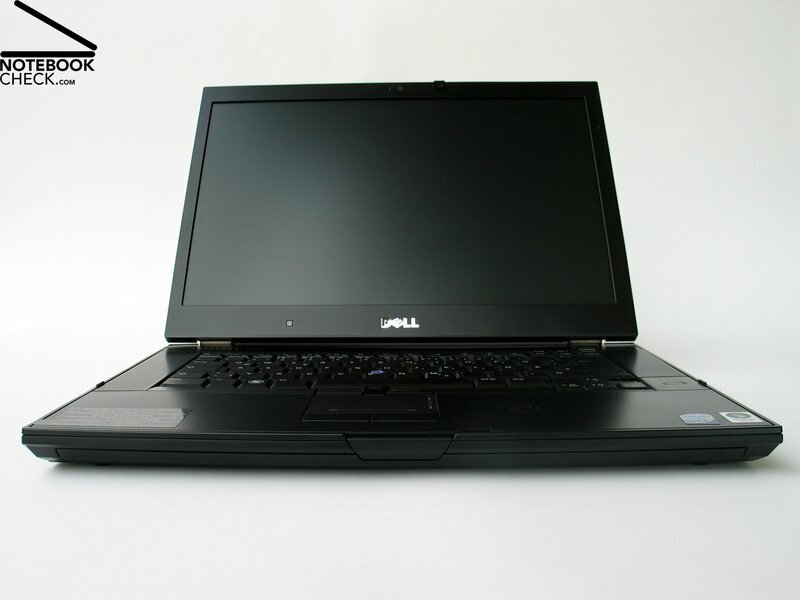 The Dell Latitude E6500 offers all important ports directly in the case, among others a digital display port and an eSATA connection. A very user friendly positioning of the connections has to be mentioned. 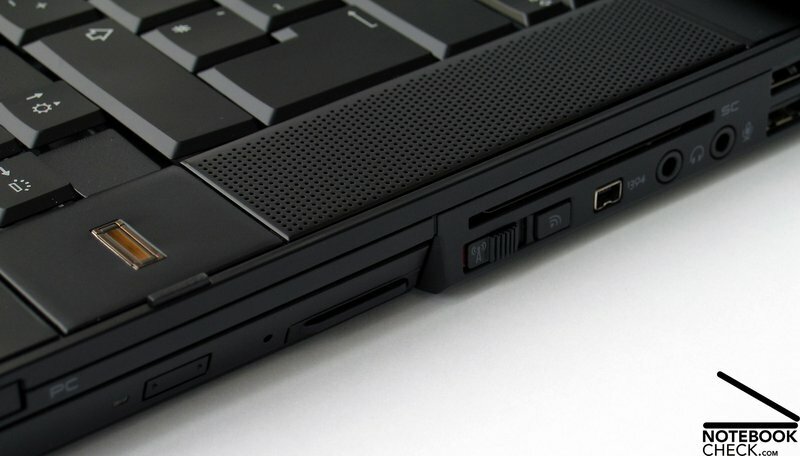 Obligatory by a business notebook like the Latitude E6500 is of course a docking port, as well. One of the strengths of the E6500 lies in its extensive communication features. 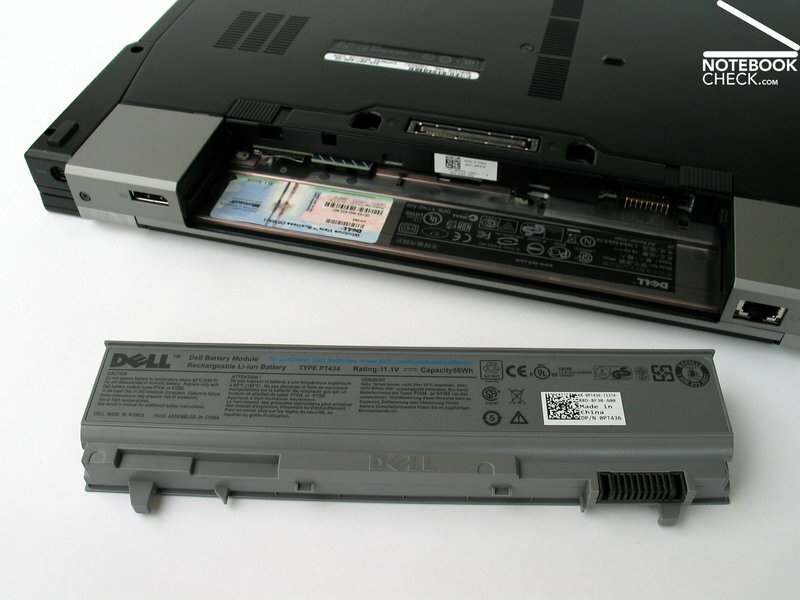 Therefore the laptop has a UMTS broadband preparation whereas the sim card has to be inserted over the battery slot. Even Bluetooth 2.1+UBB are optional for the Latitude and available against a surcharge. 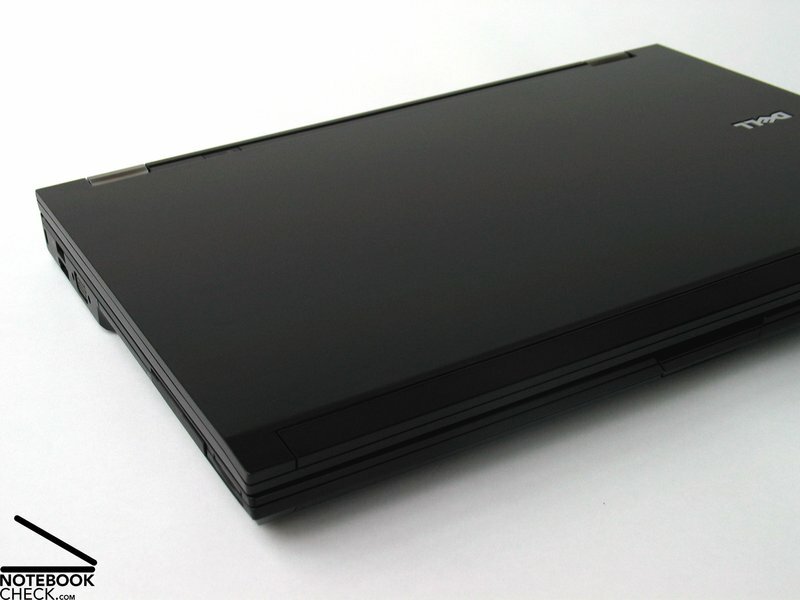 The notebook computer can crow also with his extensive security features like Fingerprint reader, TPM chip and SmartCard reader. Over a LED state of charge control the rest capacity can be read even when the notebook is deactivated.